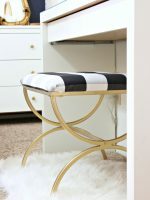 We are so excited to be sharing another DIY project with you guys! With the holidays lasting over a month, most people aren’t in house project mode. 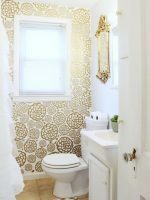 We usually switch gears and focus on holiday projects and I’ve missed sharing DIYs over the last month or so! That being said, we are so psyched to be back at it in full DIY mode! 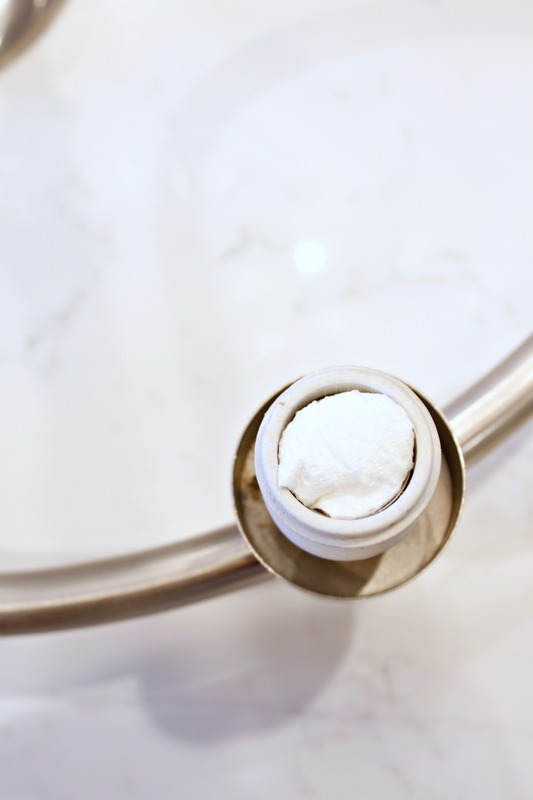 Today I’m going to show you a DIY Light Fixture that I am in LOVE with!! 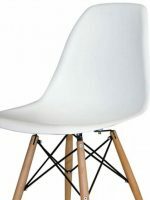 I sat and stared blankly at the fixture for a while and suddenly noticed the interesting shape and modern lines of the base of fixture. We removed the shades and added some cool 5″ globe light bulbs to it and it looked more updated right away! We are doing a lot of navy accents in her house (including her base cabinets) and one of my favorite color combinations is copper and navy! 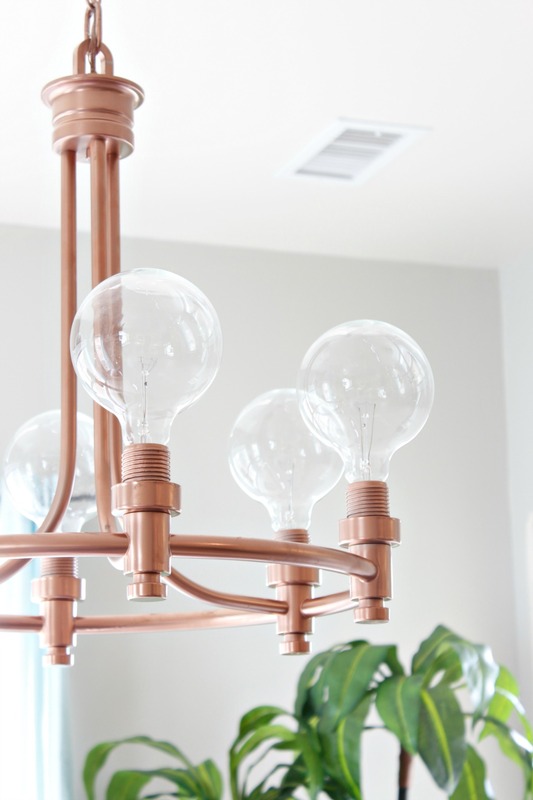 Then, I realized she had a hammered copper farmhouse sink in the kitchen nearby and had the idea of spray painting the light fixture copper to update it even further! We uninstalled the fixture and got to work. First, I used some paper towels and shoved them into the electrical sockets to protect them from the paint, then cleaned the fixture to remove any dust and debris before I painted it. Next, I waited for a warm enough day to take it outside and spray paint the whole fixture. 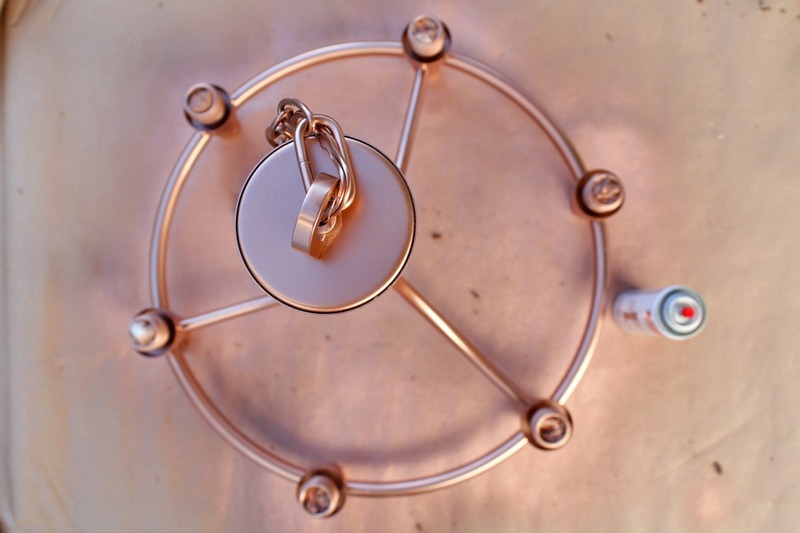 After reading the safety instructions, I sprayed the fixture with 2-3 coats of Krylon Premium Metallic spray paint in White Copper. I absolutely LOVE the White Copper color. 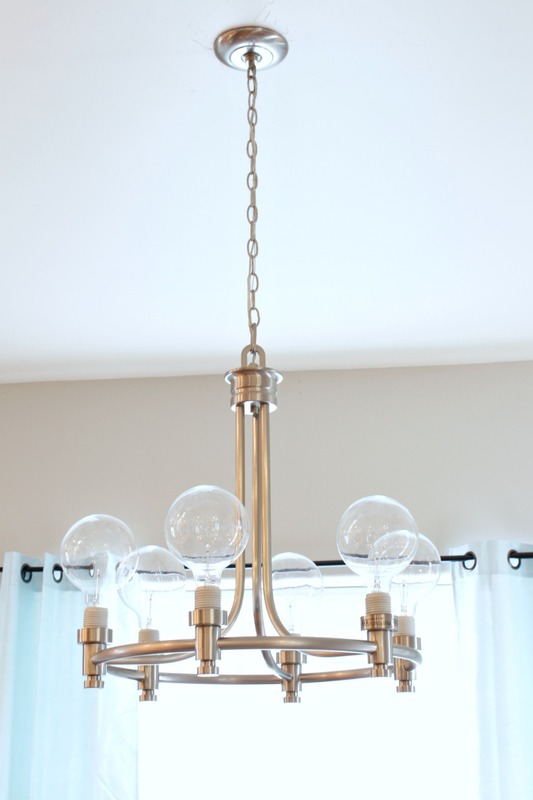 It turned out to be the perfect metallic for this light fixture! 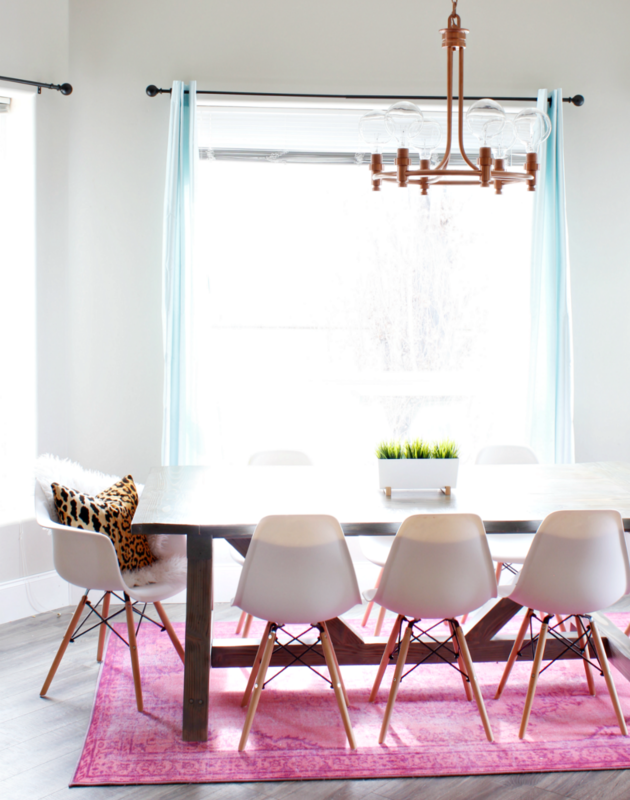 I allowed the fixture to dry for 2 days and we reinstalled it over the dining room table. 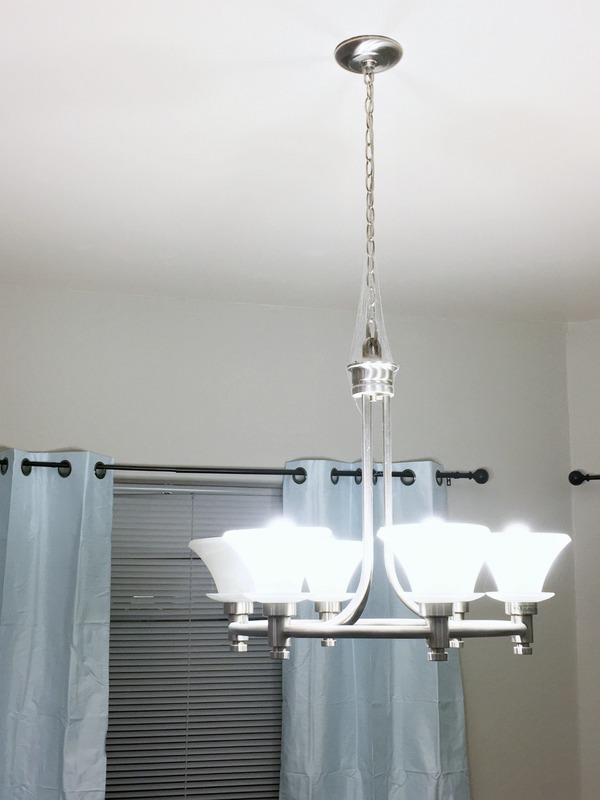 This was a really inexpensive way to update the existing fixture to make it look more modern and updated without having to buy a new one! 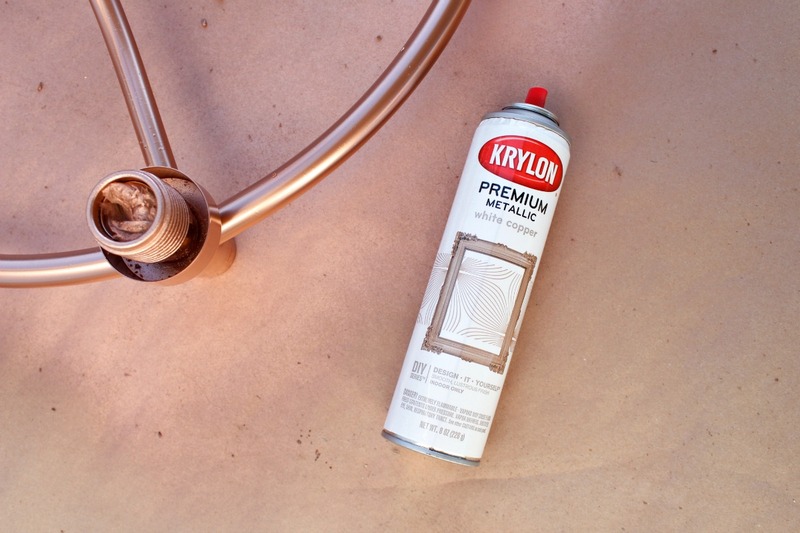 Isn’t Krylon spray paint magical? 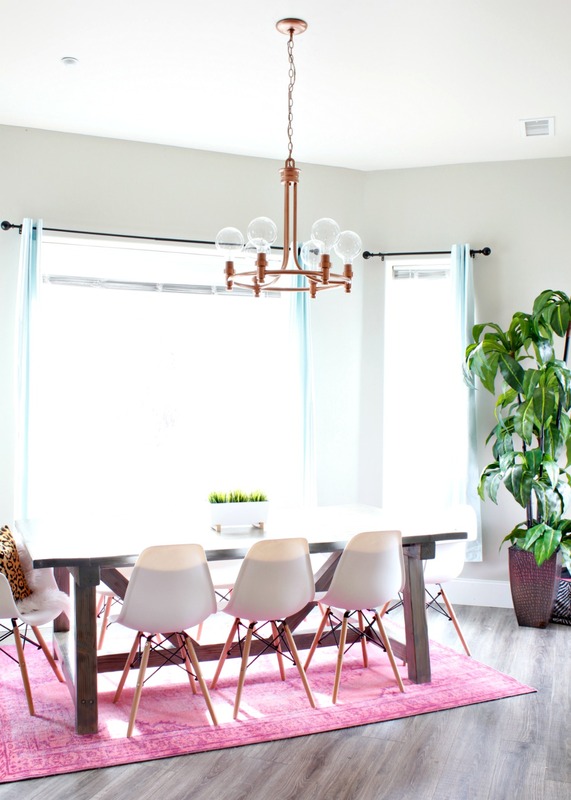 I am seriously in love with the industrial look the white copper gave the light fixture. Painting the threads on the sockets gave it that trendy, cool vibe! Isn’t the shape so neat? 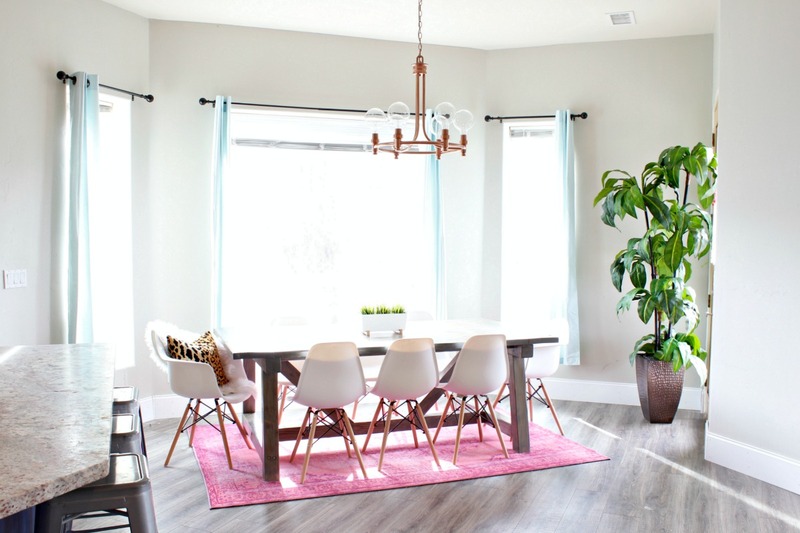 I am really excited about how the dining room turned out! I love that natural light combined with colorful, urban elements! 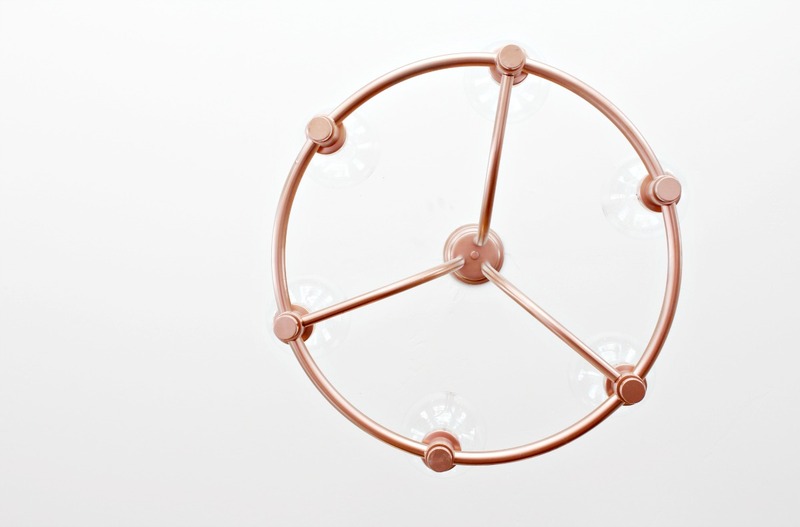 The copper light makeover was the perfect finishing touch for the space. 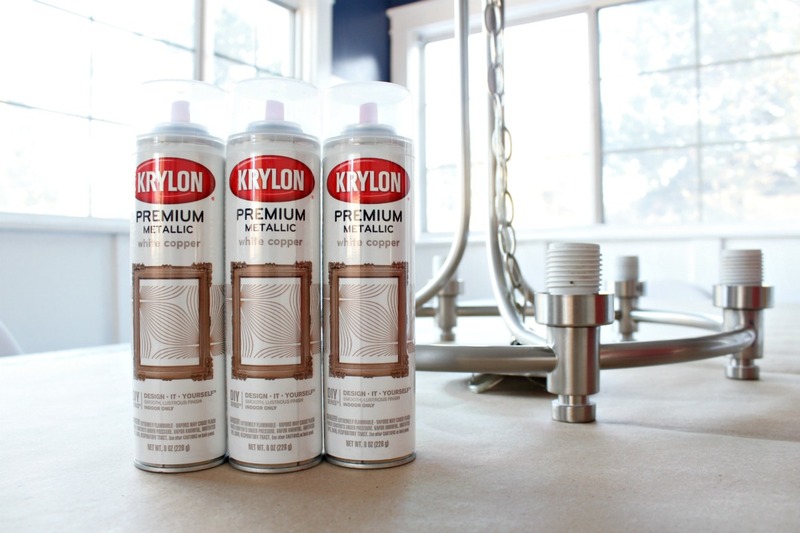 We partnered with Krylon for this project. 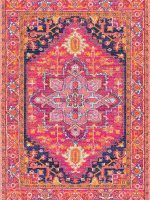 All project ideas, statements and opinions are our own, honest! I love the results, where did you get the lightbulbs? It looks fantastic! Thank you! I got them from Hangout Lighting on Etsy! I’ve included the link below! Thanks for stopping by! That is crazy awesome! Now I want to paint every light fixture in my house and buy those type bulbs! Thank you so much! It was so fun! This is fantastic. I’l be doing this for sure. 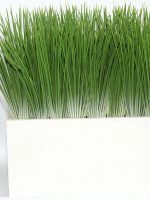 Just ordered my bulbs from Hangout Lighting!! Now to go find the copper spray paint!